Ramky estates & farms ltd..: #RamkyGroup believes and follows that #Quality is the Basic thing in Every Aspect of Life. Celebrating "World Quality Day". 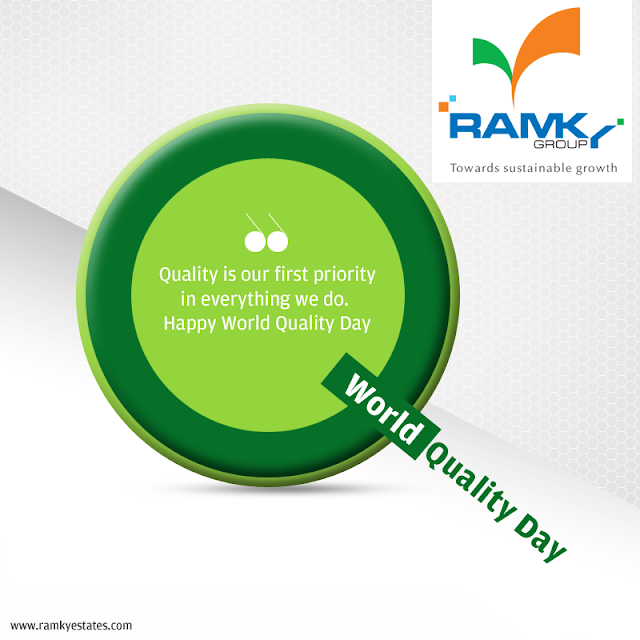 #RamkyGroup believes and follows that #Quality is the Basic thing in Every Aspect of Life. Celebrating "World Quality Day".